“White men are the overwhelming recipients of venture capital. 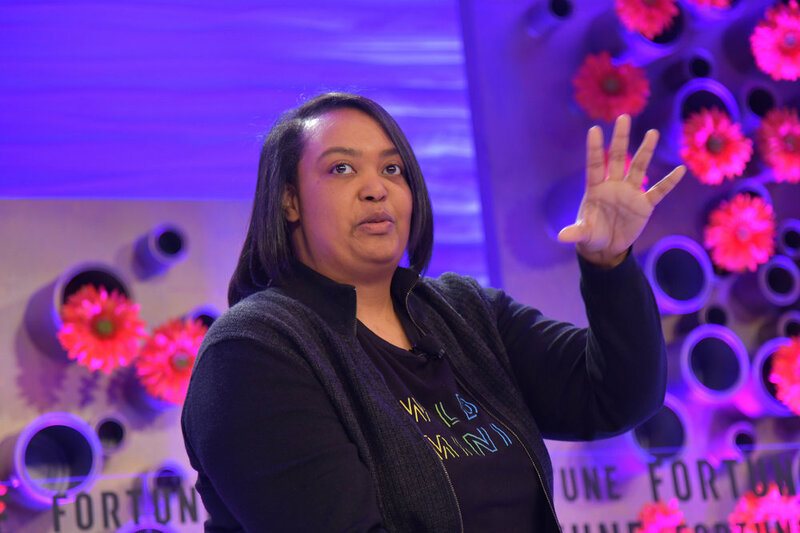 Backstage Capital’s Arlan Hamilton is addressing this by investing in a more diverse set of founders.” —BBC. Photo credit: Fortune Conferences [CC BY-NC-ND 2.0], via Flickr. hen we talk about­­ increasing diversity in the technology industry, the biggest obstacle is the fixed mindset of today’s tech leaders. A homogeneous group – comprised, mostly, of white men – founded and funded the tech industry. From this starting point, they created an environment where people who looked like them were much more likely to be successful. Male investors’ biases have been shown empirically to prevent them from investing in female founders, and processes and biases prevent white men from investing outside their demographics as well. It’s a lasting problem: last year, research found that in the US, the vast majority of venture capital continues to go to white men (only 9% of funding went to women founders, and less than 3% went to black or Latinx founders), and that 90% of venture capitalists are white men. Many just aren’t able to see past themselves to a world where others are included.